By buying this product you can collect up to 1,50 € with our loyalty program. Your cart will total 1,50 € that can be converted into a voucher. 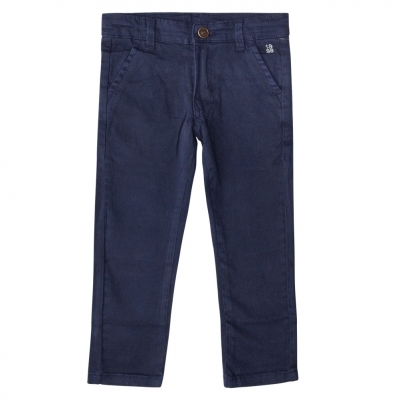 Lovely navy cloth pants, for boys. It has 2 pockets on the front and 2 back raglan pockets. This garment has been dyed after its manufacture. Variations are genuine characteristics of the product and its appearance. Wash your garment separately and do not dry it in direct sun light.